Bolsena Codesprint 2019 - GeoCat B.V.
After twelve successful years, we’ll continue the OSGeo “hacking” event in Bolsena in an Italian monastery (see map location, and videos: 2008-video, 2009-video and 2010-video. 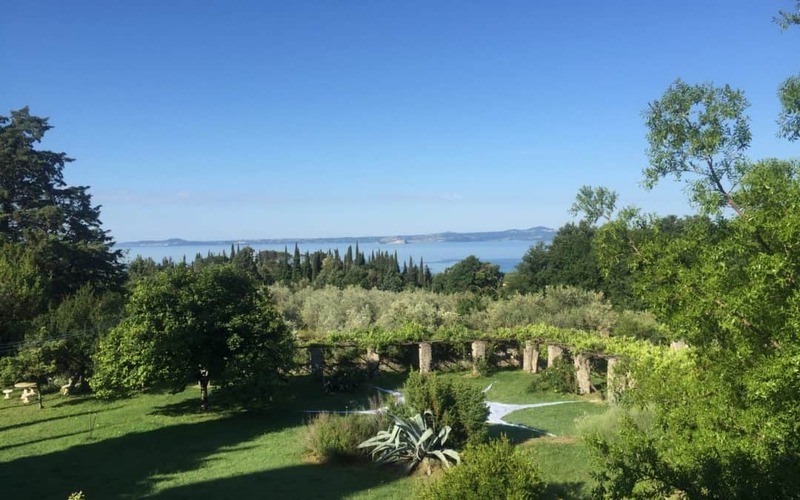 The monastery is overlooking Lago Bolsena and offers space to about 25 people in small bedrooms . It is one of the coolest places for such an event. Quiet, isolated, simple and serene. Have a look yourself, including looking at the photo gallery. For what the food concerns, we cook elaborate meals you will definitely enjoy . There’s a large dining space, but we will eat outside overlooking the lake if weather permits (very likely in June). You can stay all seven days and food (breakfast, lunch and dinner) is included in the price. As in previous years, we will go out for a city visit and a dinner on one of the evenings. The event will take place during the whole week (5 days), although the emphasis will probably be Monday to Friday for most participants. More information and registration on the OSGeo wiki.